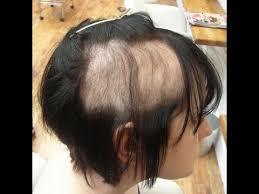 Trichotillomania is called an impulse control disorder (ICD) that involves strong urges to pull out one’s own hair. Often clients have no idea why they pull their hair out. They just know that they can’t stop. Trichotillomania affects more girls than guys. Most people who have develop it during adolescence, but it can start even younger. They also may have other compulsive habits, such as nail biting or skin picking. Some also have problems with depression, anxiety, or obsessive-compulsive disorder (OCD). The hair is pulled out from varying parts of the body. I think that it is always a good reminder that when we read a health diagnosis medical term, that is a medical label that shows certain symptoms. Symptoms that originate from the ’cause’ of what brought this about. A label of what is wrong with you is needed by the medical profession to know what in terms of their training knowledge tells them how to treat this disorder. Whether it be to put you on medication or send you to see a psychologist, counsellor or both, i.e. medication and psychological help. I am a believer that if you release the ’cause’, you may also release the habit that you have created to cope with that. This is just one such ’cause’ that was given the label of ‘Trichotillomania’. CLIENT CASE – In this client case, my client pulled her hair out of the front of her head that sent her bald. She also wanted to stop picking at her skin. Anna (pseudo name); female, 30 years of age, who suffered from Trichotillomania for 17 years said that this had been a problem since she was about 12 years old or even earlier. She said; “I was bald in the front area of my head in my first high school photos. I would pull out certain hair, texture or colour.” Half the time she said that she didn’t know that she was pulling or breaking her hair. She said the difference now is, I pull my hair or break it off or even pick my face if I think my scalp needs a rest. Sometimes my scalp gets sore and my arms ache because my arms are always up picking at my hair. I have hair in my room, on my lounge, all over the floors, through my car, in my office at work; all over the workplace… it is everywhere. The client was the eldest of five children. There were other half brothers and sisters as both parents had remarried. At 4 years old, a younger brother who was 10 months old died in a house fire. Both Anna and her mother collapsed because of smoke inhalation. She felt she was too young to feel that this had a big impact on her. The relationship between Anna’s parents was very toxic and extremely abusive. Her father often beat her mum up in front of the children. He would take his anger out on Anna and her brother and beat them as well. One time so badly their mother had to take them to the doctors, who the mother told that they had been in a car accident. The police came round, but holding a knife to the boy’s throat, the father threatened to cut the boy’s throat if they said anything to the police. They kept quiet, and years of abuse towards Anna, her brother and mum continued until finally, her parents separated when her father left them for another woman. After Anna’s mother remarried, she suffered child sexual abuse from her stepfather. She ran away from home to her father. A court case proceeded against her stepfather. The court found him guilty and sentenced him to weekend detention for two years. The stepfather committed suicide. Anna’s mother told her that it was her (Anna’s) fault and that she would have to carry that guilt for the rest of her life. Anna moved out of her father’s house and left school to support herself. She moved in with her boyfriend. There is a lot more drama to this story, as Anna put it; “I have had drama in my life from the get-go, even to this day, my family, siblings, and mum (not the clients own husband or kids), have so much going on, I can’t cope with it and try and block it out. I have my own life going on and trying to manage what I have going on is enough without that extra burden. Anna has been looking for help for the last 17 years, but nothing had worked. She wanted to turn a new page and start fresh, leaving this awful and embarrassing habit behind forever! When searching the Internet, Anna noticed that a few people had posted that they had found hypnotherapy helpful. Looking for a hypnotherapist, she came across my website where I had mentioned ‘hair pulling’ as a therapy that could be helped by hypnotherapy. That caused Anna to contact me and after talking about how I work with this problem, Anna booked an appointment. Scared – 10, helpless – 10, confused – 6, angry – 5 (now 10), guilt about stepfather committing suicide – 7. Anna had never been hypnotised before. An explanation of hypnotherapy and the experiencing of an out of hypnosis susceptibility ‘handclasp’ test showed Anna that although her hands were stuck fast, she could choose to override this, which she was able to do. We did a hand lifting technique using the mind in hypnosis and established a ‘Yes – No’ ideomotor finger response. I asked the subconscious to regress to the very first time Anna started pulling her hair. It took her back to the age of 12. She recounted that she was looking into the mirror and suddenly realised that she looked just like her father. She said that she felt so fearful that she would grow up to become like him, that she started pulling every black hair out of her head (she left the lighter colour hair alone). Using questions in hypnosis, i.e. “Do you beat your husband up?” “Do you beat your children up?” – “Does that tell you that you are like your father?” Obviously, the answers I got were “No”. Therefore, my next question was; “Do you think that it is the time that we removed those feelings that you had when you were so young?” The answer was “Yes”. We used AcuTapping (EFT) within the hypnotherapy trance state, with provocative therapy to release all the past feelings, as well as the fear of becoming like her father. We removed a sticker from her forehead and replaced it with another that said ‘happy, healthy, in control.’ We then did a timeline progression of 5 years of repetition to take that new feeling to habit. Some Ego strengthening finished the session. Two days after seeing me Anna sent me an email saying; “I just wanted to let you know that it has now been over 24 hours since I last pulled my hair out. So far so good!! A couple of times I may have been close, but have not actually done it. Two months later – no more hair pulling. Bruce H. Lipton, PhD is an internationally recognized leader in bridging science and spirit. Stem cell biologist, bestselling author of The Biology of Belief and recipient of the 2009 Goi Peace Award, he has been a guest speaker on hundreds of TV and radio shows, as well as keynote presenter for national and international conferences. His research at Stanford University’s School of Medicine, between 1987 and 1992, revealed that the environment, operating through the membrane, controlled the behavior and physiology of the cell, turning genes on and off. His discoveries, which ran counter to the established scientific view that life is controlled by the genes, presaged one of today’s most important fields of study, the science of epigenetics. He has many videos that are well worth the watching to help us understand how our programming is running our life. You might like to go here… to learn more. The introduction to this video is in German, but the interview is in English. Just because there is no Scientific-Evidence-Based-Research for some issues being dealt with in hypnotherapy, that doesn’t mean it can’t help resolve a particular issue. However, like with all things, check out your practitioner for their training and ability to help you, and your health practitioner to check there is no valid reason that you should not undergo this therapy.